September is the perfect time of year to visit Loudoun distilleries in honor of Virginia Spirits Month! Loudoun is fortunate to be home to two great distilleries: Catoctin Creek Distilling Company and Mt. Defiance Cidery & Distillery. Learn more about these unique places and plan a visit for yourself. 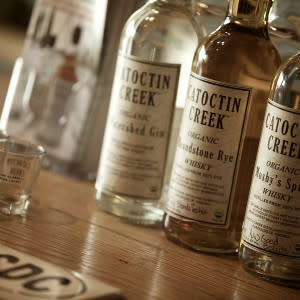 Catoctin Creek Distilling Company was founded by Becky and Scott Harris and opened in 2009 in Purcellville, VA. Upon opening, Catoctin became the first legal distillery in Loudoun County since before prohibition. Neither Becky nor Scott came from a distilling background but followed their passion and left their chemical engineer and government IT jobs (respectively) and took the first step to opening their own distillery. They are dedicated to producing some of the finest spirits in Virginia and focus on using as many Loudoun products as possible when making their spirits including local grain and fruits. Today, Catoctin Creek is creating Virginia’s most awarded whisky and has expanded into several international markets. When you visit, make sure to try my personal favorite the cocktail flight. It’s delicious! Mt. 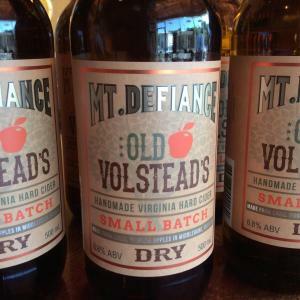 Defiance Cidery & Distillery in Middleburg focuses on reviving classic spirits that have roots in Colonial America like apple brandy, rum and others. The founders and distillers have committed to making handcrafted, small batch products for visitors to enjoy. Their unique building accommodates both their cider tasting room and spirits tasting room, which houses the smallest ABC store in Virginia! Over the past few years, they have expanded into new spirits such as Absinthe, Apple liqueur, Vermouth, Cassis and more. Plan a trip to their tasting room in Middleburg and be on the lookout for the opening of their new cidery location coming soon! We hope that you get the chance to experience Loudoun’s spirit scene not only during Virginia Spirits Month, but whenever you are craving the delicious taste of local products. Share your tastings with us by using #LoveLoudoun.